At Abbey Hill we know how important your wedding day is, which is why our friendly team of wedding specialists is committed to helping you create one of the most memorable days of your life. 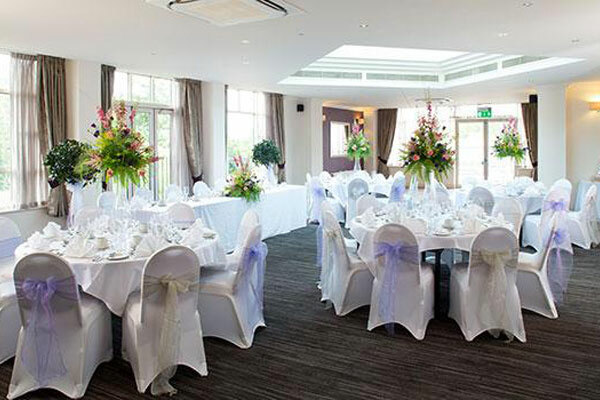 Licenced for civil ceremonies, our newly refurbished function room is a beautiful space and fast becoming one of the most popular wedding venues in Milton Keynes. Lush and green, Abbey Hill offers spectacular countryside backdrops creating an idyllic setting for weddings. Why not call one of our wedding experts now on 01908 562 566 and arrange a time to drop by for a chat over a cuppa or a glass of wine? Catering for up to 90 seated guests and starting at just £49.00 per person, our wedding day packages offer a wonderful range of options for you to choose from. We offer the ideal wedding venue, located close to Milton Keynes. 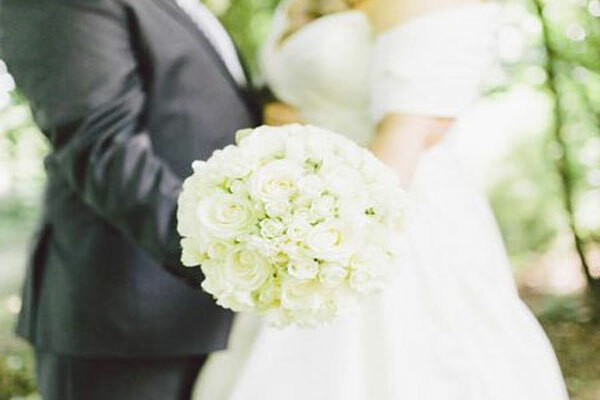 Why not take advantage of our all-inclusive mid-week package and create your dream wedding. We have weekend packages available as well as an Ultimate Package which we can discuss in detail when we meet with you to discusss your big day. Take your pick from our small, intimate spaces to our Fairway Suite which will seat up to 90 guests for your Wedding Breakfast and up to 150 guests for an evening reception. Our Fairway Suite has beautiful feature windows with panoramic views over the golf course, making it feel light and spacious. An ideal space for weddings, it can accommodate up to 130 guests for a seated meal and 200 guests for a reception style celebration if using the marquee extension. For smaller weddings, the Fairway Suite has a partition wall that can be drawn to create a more intimate gathering for up to 20 people. To access the room there is a lounge and bar, perfect to greet your guests with a celebratory arrival drink. Situated on the first floor at Abbey Hill Golf Centre, with its own private bar and roof terrace, the Function Suite is a stunning venue for weddings. Recently re-furbished, this contemporary and stylish room can accommodate up to 80 people for a seated meal and 120 guests for a reception style celebration. 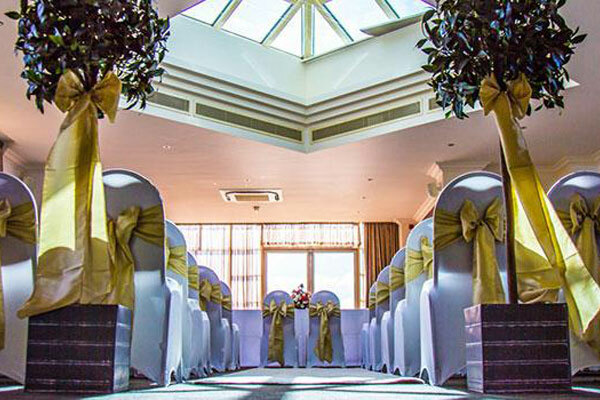 The Function Suite is licensed to hold civil wedding ceremonies and civil partnership ceremonies and is one of Milton Keynes’ most popular wedding venues. Whatever you are looking for we have the space to make your day truly special. Abbey Hill is licensed to hold civil wedding ceremonies, civil partnerships or renewals of vows. The Function Suite is ideal for large or small celebrations, accommodating 35 to 90 guests.